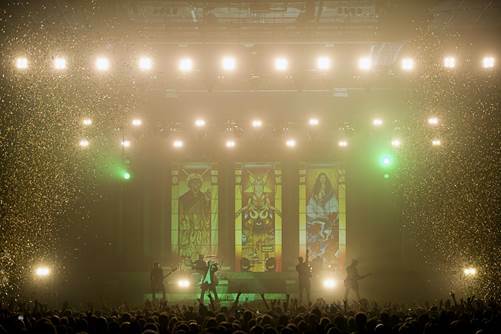 Ghost today released a live double-album entitled ‘Ceremony And Devotion’. Get all the information and links to limited vinyl releases. The album was recorded during the band’s critically exalted Popstar tour during the summer of 2017 and documents Ghost’s unforgettable live show in pursuit of becoming the world’s next great arena band. Ceremony And Devotion is available to stream and download now via iTunes, Spotify, Amazon, and Google Play. Ceremony And Devotion was produced and mixed by Tom Dalgety and features fan favourites spanning the band’s entire catalogue from Opus Eponymous (2010) to Infestissumam (2013) to Meliora (2015) to the Popestar EP (2016). The album will be available physically on double CD and double LP on January 19, 2018. Exclusive, limited edition “translucent tigers eye” coloured vinyl and bundles including a lenticular poster, limited edition 8-track, and t-Shirt will be available exclusively in the Ghost Shop HERE. 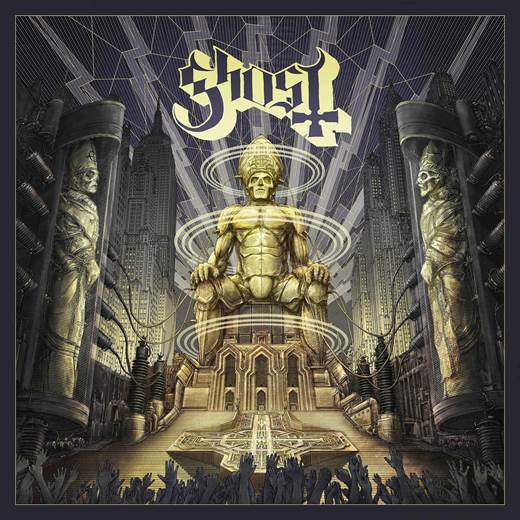 Ghost’s most recent studio album, Meliora, and its accompanying EP Popstar, elevated the Swedish rock band into the pantheon of the greatest rock bands on earth and resulted in a Grammy® Award for ‘Best Metal Performance’. Meliora debuted at No. 1 at Independent Retail, No. 2 at Rock, and in the Top 10 on Billboard’s Top 200 Album Chart, selling over a quarter million copies globally. Popstar debuted at the No. 1 position on Billboard’s Top Rock Albums and Hard Rock Albums chart and produced an Active Rock chart-topper with “Square Hammer”. Along the way, Ghost have racked up both widespread critical acclaim and adoration from a legion of fans across the globe in a genre stagnated by Nü metal for nearly two decades.